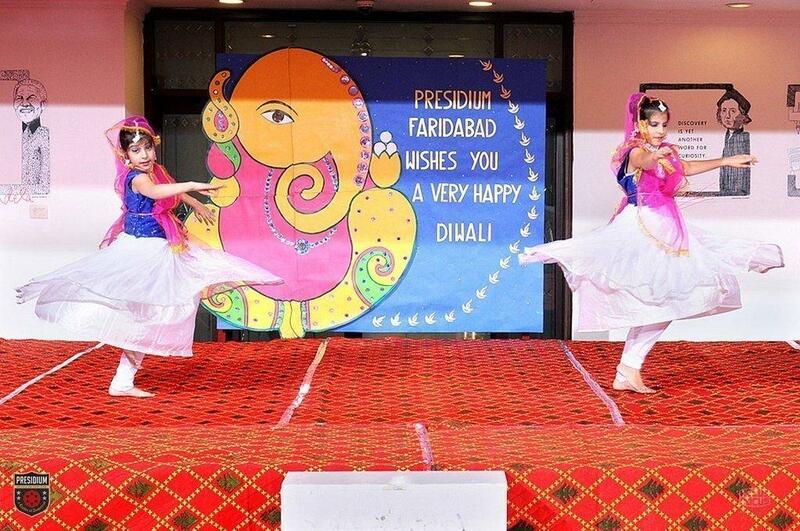 Invoking blessings on the festival of Diwali! 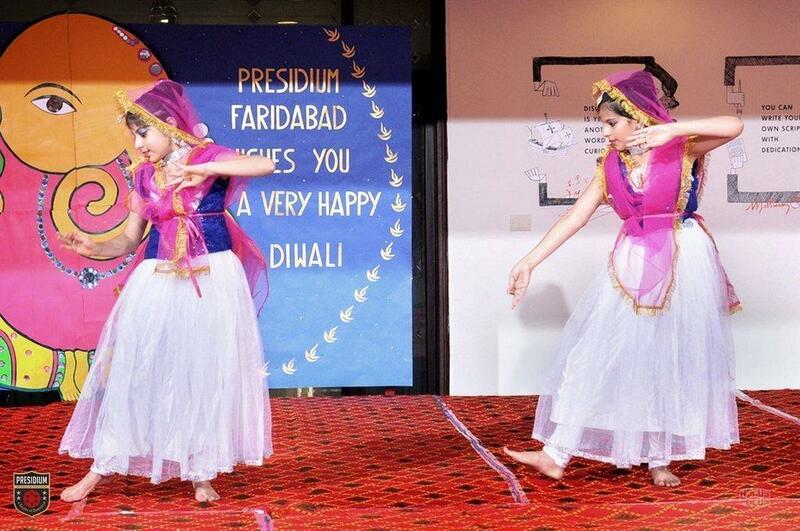 HomeNews and UpdatesInvoking blessings on the festival of diwali! 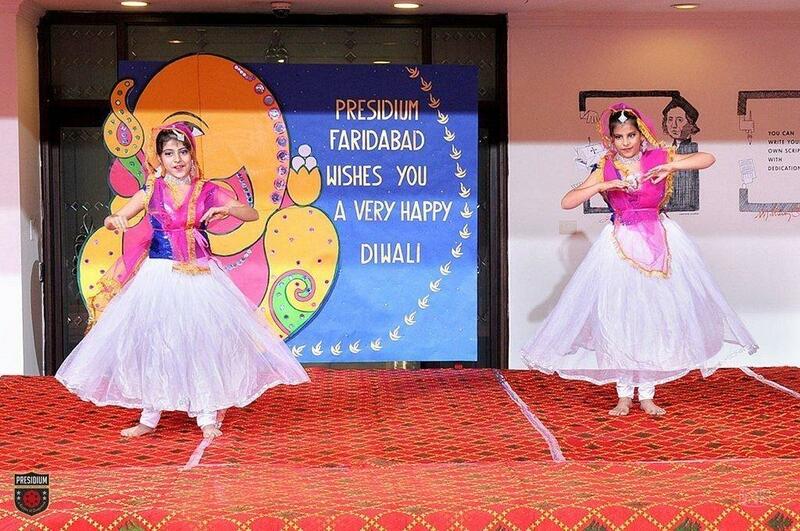 The celebration of Diwali came alive at Presidium, Faridabad when the whole school wore a festive look with Diyas and lanterns adorning the corridors with bright colors. 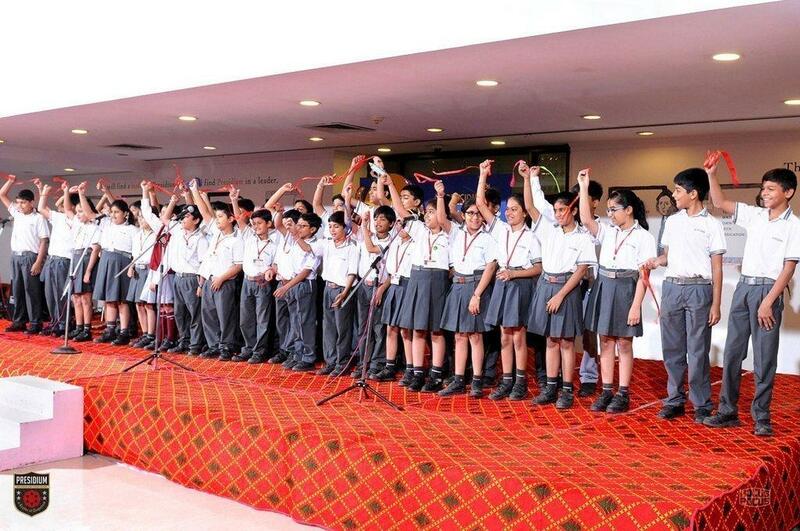 The special assembly marked the beginning of the festivities. 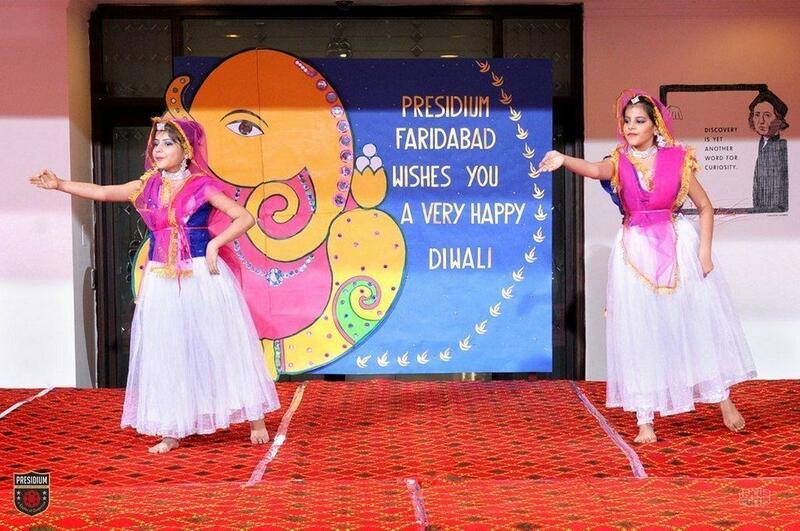 It began with a meaningful prayer highlighting the message of Diwali, invoking God’s blessings and thanking him for his assistance and guidance. 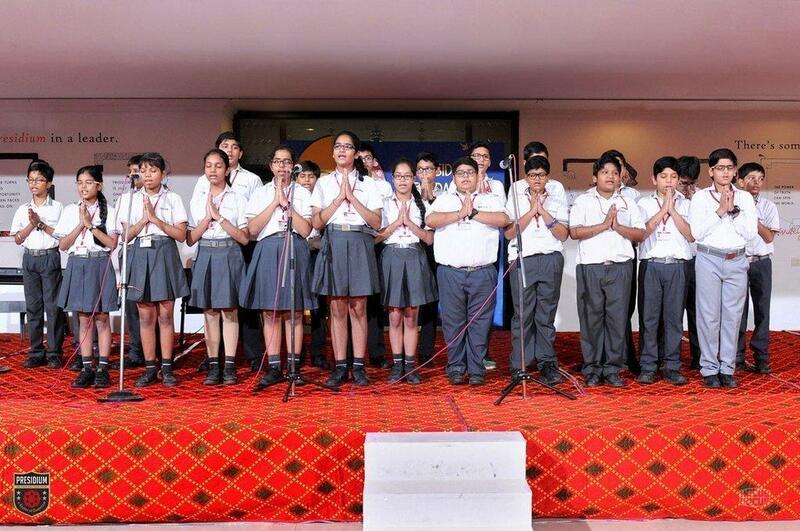 It was followed by Ganesh Vandana sang by the students of class VII creating a harmonious atmosphere for the day. 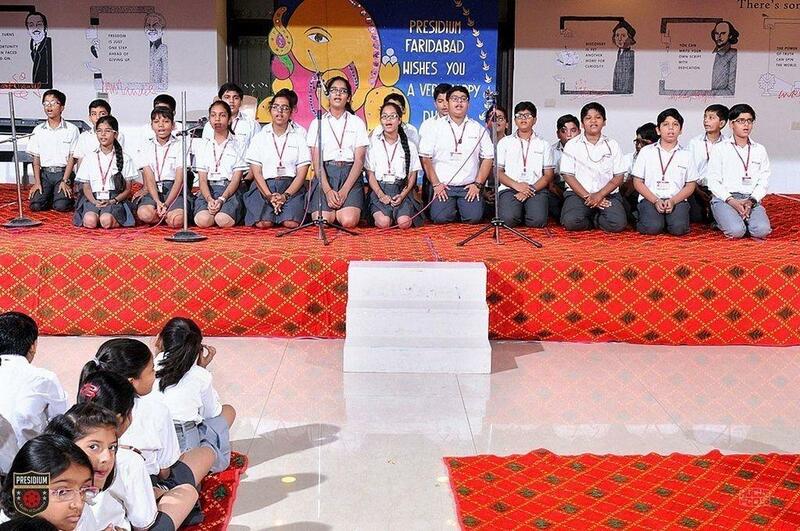 The students of class V enthralled all with their melodious ‘Diwali Celebration’ song emphasizing the need of togetherness in today’s era. 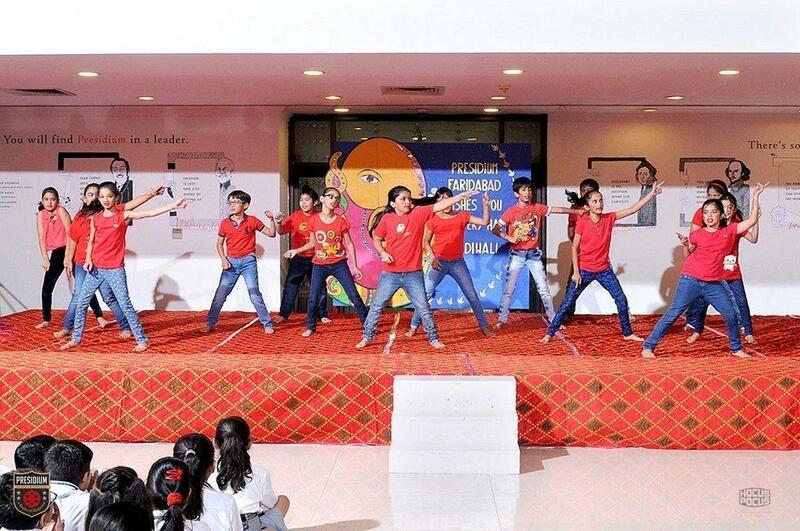 Class IV students showcased the spirit of Diwali through an exciting dance performance giving the message that the light within us must help to dispel the darkness and spread love, warmth, and kindness as well as in giving and sharing. 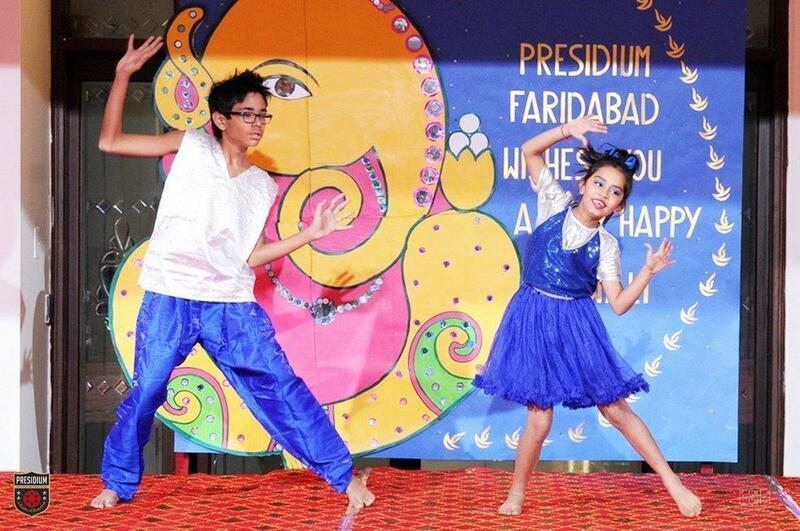 The students were looking beautiful in colorful costumes and set to music, highlighted the festivity and good cheer of the festival. 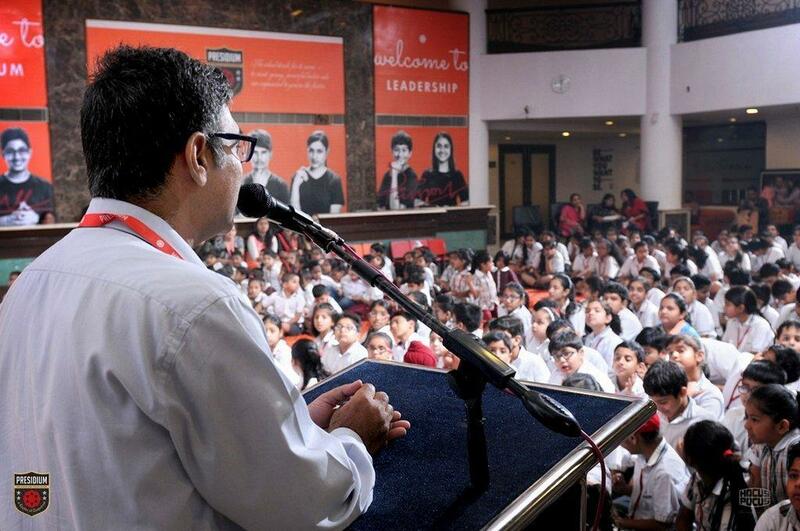 The assembly concluded with an inspiring speech by the respected Principal of the school, who blessed the students and wished everyone a very Happy Diwali.